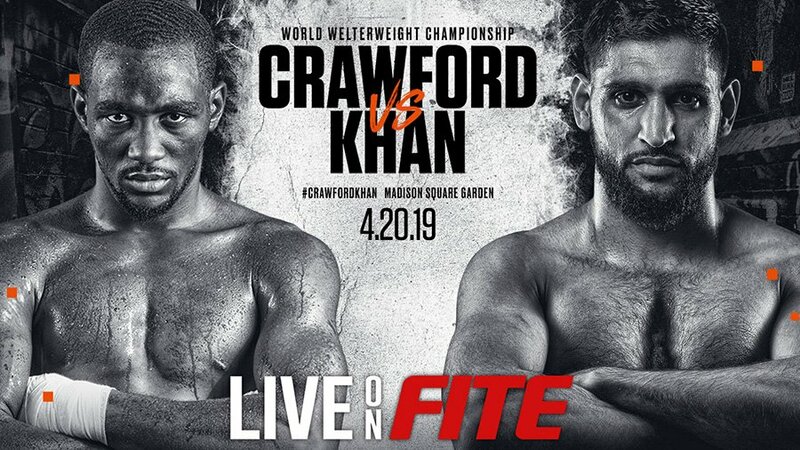 New York, NY (April 16, 2019) - Top Rank Boxing and FITE announced today that the year's most anticipated welterweight showdown between WBO Welterweight Champion Terence "Bud" Crawford and Amir "King" Khan will air live on www.TOPRANK.com and the premier combat sports digital network, FITE, Saturday April 20th 9:00pm ET/6:00pm PT worldwide on a Pay Per View basis. This is the inaugural Top Rank on ESPN pay-per-view broadcast. "Top Rank is committed to giving fight fans from around the globe the premier digital experience to view the biggest fight of the year," said Top Rank president Todd duBoef. "Terence Crawford vs. Amir Khan promises to be a memorable fight, and we are happy to be partnering with FITE to bring it to fans from around the globe." Shakur Stevenson (10-0, 6 KOs), the 21-year-old featherweight phenom who captured a silver medal for the United States at the 2016 Rio Olympics, will face former world title challenger Christopher "Pitufo" Diaz (24-1, 16 KOs) in a 10-rounder. Felix "El Diamante" Verdejo (24-1, 16 KOs), one of Puerto Rico's most popular fistic attractions, will fight former interim world champion Bryan Vasquez (37-3, 20 KOs) in a 10-round lightweight duel with potential world title implications. "Since our launch three years ago, FITE has become the leader in the digital delivery of combat sports, driving the majority of OTT viewership for many marquee boxing events including the two bouts between Canelo and Golovkin," commented Michael Weber, FITE COO. "We are very excited to work with Top Rank Boxing for Crawford vs Khan Pay-Per-View, and look forward to delivering to fans the best viewing experience of the world's most anticipated welterweight showdown". Manny Pacquiao "Pac Man" vs Terence Crawford "Bud"